In my last post, I shared my top 10 articles of all time. As today is New Year’s Eve, I wanted to reflect on my top five articles of 2012. Deciding to go into sales management is a very big step for a sales person. Recently, I received an offer to serve as a sales trainer or de-facto sales manager; based on my time in field sales and my blog. Happy New Year! Thank you for reading my blog, I appreciate your support. There are more articles to come in the coming weeks. Feel free to send me your comments, questions and suggestions. Have a wonderful 2013. Selling is a very detailed process. There are four basic things that every person in Sales needs to do to be successful. These four things are: belief in your products and services, knowing how to prospect/knowing your target market, knowing how to engage prospects and customers with a message that is compelling and the ability to persist in the face of rejection and knowing how to get past objections. …. #4 The Basic Principles of Marketing have changed or have they? Thank you for reading my blog, I appreciate your support. There are more articles to come in the coming weeks. Feel free to send me your comments, questions and suggestions. 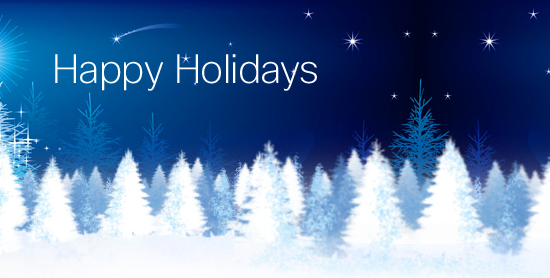 Have a great holiday season and a wonderful 2013. I will see you soon! The holiday season is upon us. Everyone is in holiday shopping mode from Black Friday, Cyber Monday and many other things. Also, everyone is thinking about going to parties. So the last thing on your customers and prospects mind is to make a year-end purchase; unless they receive a year-end tax advantage. As a sales rep, you are under pressure to close deals so you can earn that bonus. Unless your customer is in a buying mood, you are going to hear the objection “call me after the holidays”. If you have done business with this customer, you will have an easier time than if you are making a cold call. This is how to deal with the objection “call me after the holidays”.